The plans for the £37m Gulliver's Valley Theme Park are being recommended for approval by planning officers at Rotherham Council. Rothbiz was first with the details when the full plans were submitted in October. 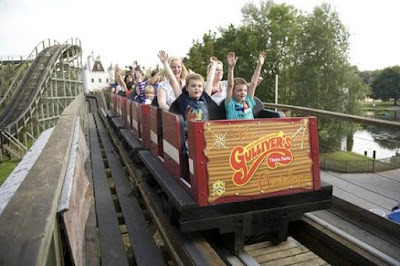 The proposals, which will create around 400 jobs, will see Gulliver's buy approximately 250 acres from the Council. The restored former colliery and opencast site will be transformed into a year round destination aimed at 2 - 13 year olds and is set to include a theme park hub, woodland adventure centre, ecology and education centre, lodges, hotels and a holiday village. Following planning approval, the scheme is expected to be built over 12 - 15 years, the theme park would come first and further developments would follow afterwards. Two applications were submitted, one for the change of use of the greenbelt site to a leisure resort and a second that details the phases of the resort and the attractions. Both have been recommended for approval by officers as they go to the planning board of Rotherham Council next week. 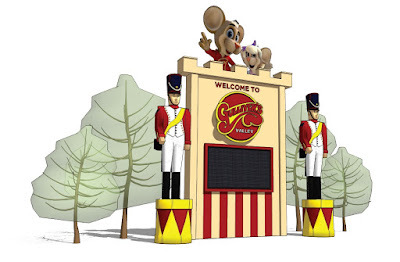 Gulliver's, the operators of theme parks in Warrington, Matlock Bath and Milton Keynes, has developed plans for the first of their sites in the UK to encompass all their major family entertainment elements in one location with new attractions exclusive to Rotherham. The Council has long had ambitions for the Pit House West site to be transformed into a landmark leisure / tourism development on a national and international scale. Agreements relating to the YES! project and Visions of China developments were terminated due to the lack of progress. As the proposal represents inappropriate development in the Green Belt, very special circumstances need to be demonstrated to overcome the harm caused. The Council's emerging plans and strategies add that "The Council will support proposals for a comprehensive, regional scale leisure and tourist attraction north of Rother Valley Country Park compatible with its location within the Green Belt." A report to the planning board, concludes: "The proposed development is considered to constitute inappropriate development within the Green Belt, however very special circumstances are considered to exist due to the economic benefits of the development in terms of increased local employment opportunities and the increase in numbers of tourists and visitors to Rotherham. "The proposal will positively contribute to the local economy and tourism opportunities with a diverse range of job opportunities created both within the construction and operational phases, and will create up to 125 full time jobs and 325 part time jobs. The proposal will attract tourists to Rotherham which would be beneficial for the local economy." The report adds that the elements of retail, leisure and hotels on this site, which is outside of a town centre, are not considered destinations in their own right, as they form part of the whole themed resort. It also adds that buildings have, where possible, outside the theme park itself, been designed to respect the countryside setting in terms of building materials and locations and that the proposal has been designed to blend in with the landscape wherever possible using existing woodland areas as screening. With access from Mansfield Road, and a £1.2m improvement scheme underway, the proposal is considered acceptable in highway safety and transportation terms. Issues of ecology and wildlife, drainage, noise, ground conditions and local support and objections have also been assessed during the planning process. Members of the planning board will tour the site of the proposal before making a decision on the application, which will come with a number of conditions. Due to its prominence, The National Planning Casework Unit will be given the opportunity to "call in" the application on behalf of the Secretary of State for Communities and Local Government. The applicants hope to begin construction immediately after an assumed grant of planning permission. The first phase of development (the main entrance and access roads, theme park hub and core parking) could be open in 2020.